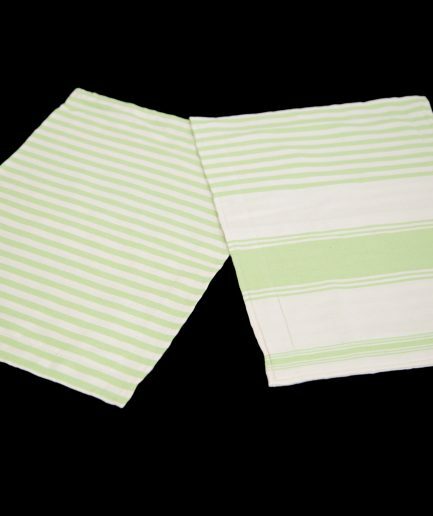 Perfect for the year-round picnic and every occasion thrown your way. 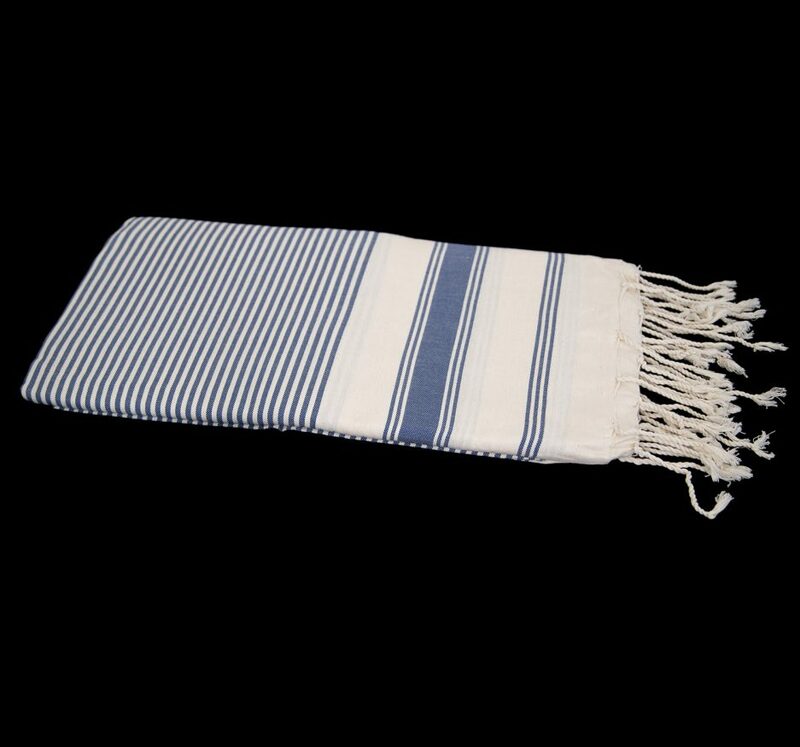 This Fouta towel is best used in the funner moments in life. 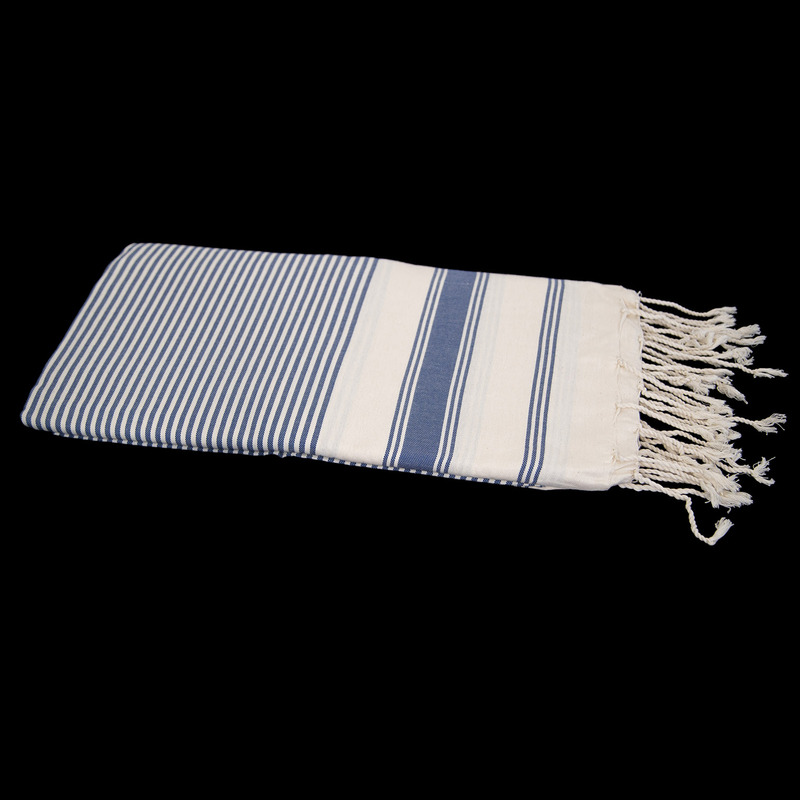 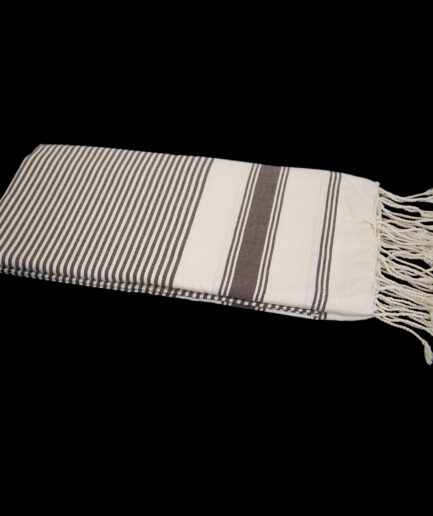 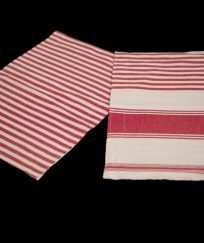 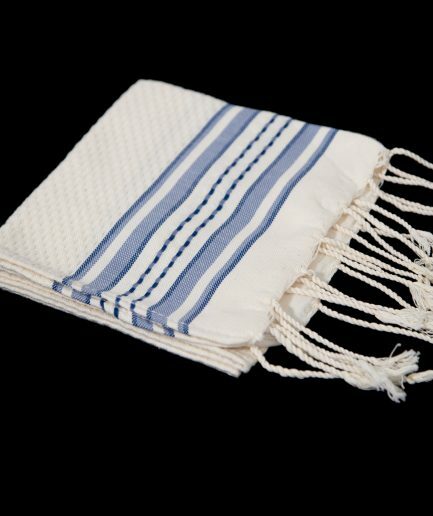 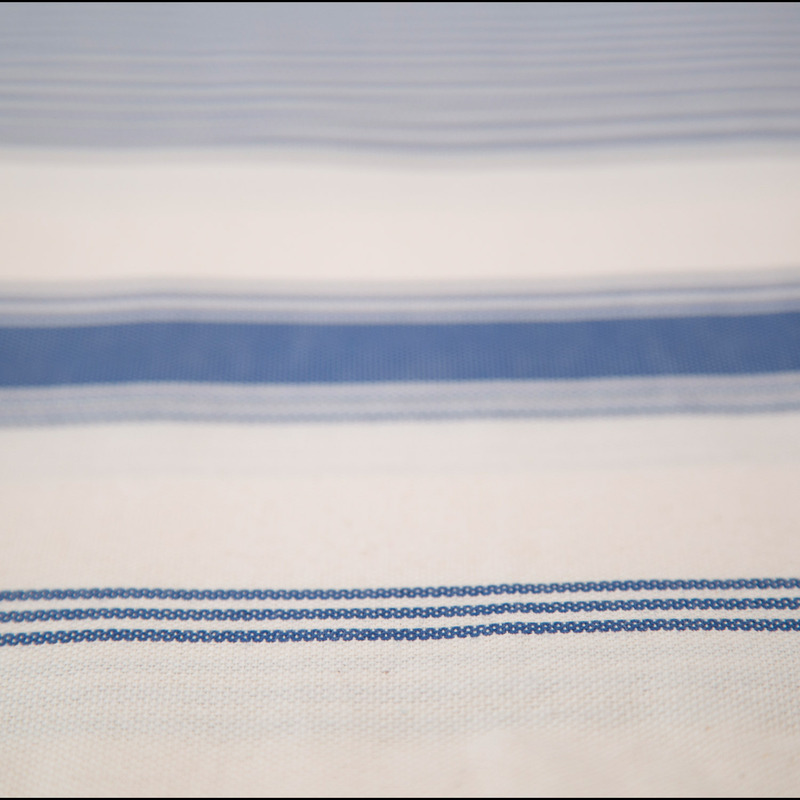 As a sturdy tablecloth, blanket, large towel or furniture throw, this Fouta can do it all. 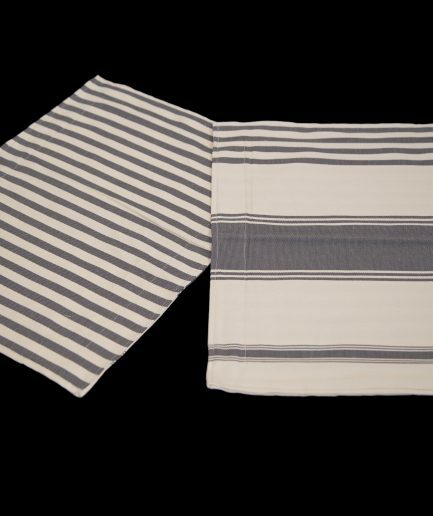 Kamsah’s Foutas are handmade one at a time in the heart of Tunisia using locally-grown cotton. 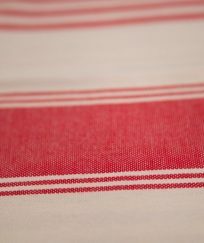 Uses: Outdoor picnics, beach adventures, lounging poolside, exotic travel and dining anywhere. 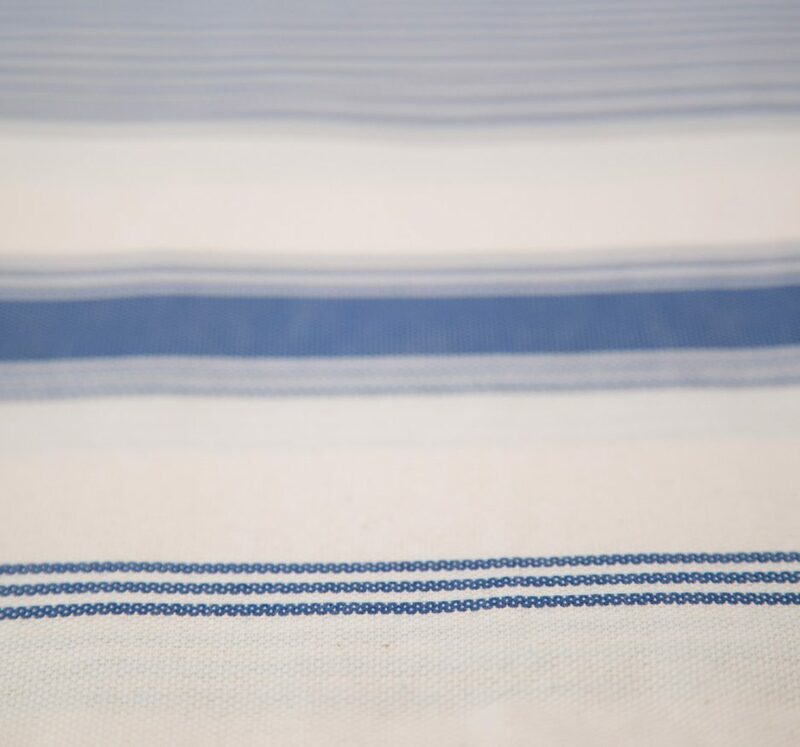 Color: Sea Blue on Natural White.